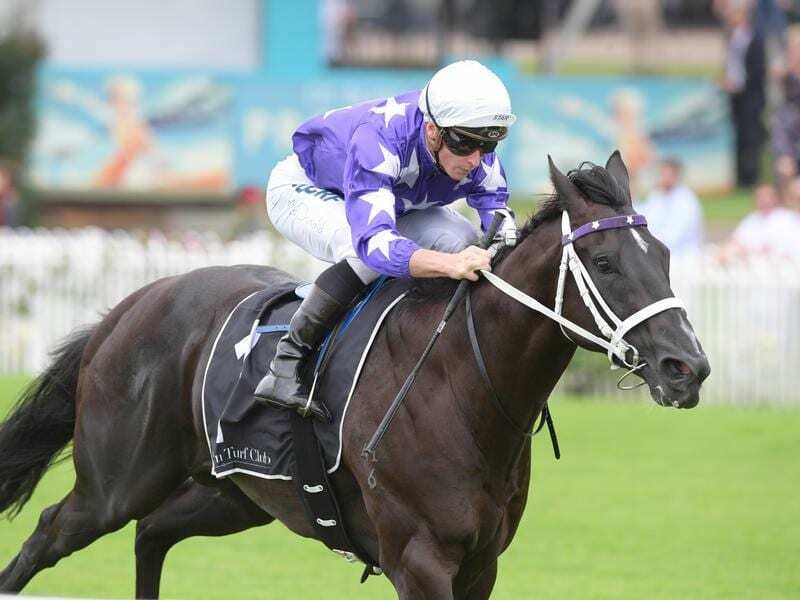 The Chris Waller-trained Accession has firmed for the Golden Slipper after a Rosehill win. A colt by the Waller-trained Brazen Beau, Accession was having his third start in Saturday’s appropriately named Countdown To The Golden Slipper (1100m). After being beaten on debut by Godolphin filly Athiri, Accession won the Inglis Nursery in December. That race is part of the sales company-sponsored series which includes the $2 million Inglis Millennium in two weeks for which Accession is now the $4.50 equal favourite with Catch Me. He also firmed from $51 to $15 for the Golden Slipper in March with his performance to come from back in the field, extending his margin with each stride to be 4-3/4 lengths ahead of Avon River on the line. “He is a definite Golden Slipper horse,” Waller said. “This was his third run and he is improving all the time. “Two-year-olds tell you where they want to go and if they are up to a tough campaign. Accession was Waller’s first winner by Brazen Beau who he trained to two Group One wins and a close second in the Diamond Jubilee Stakes at Royal Ascot. Despite his previous win, Accession eased from $2.70 to start $3.20 with punters supporting the Ciaron Maher and David Eustace-trained Igniting who was backed from $2.70 to $2. 60. Igniting ran fourth after leading early with Giselle Anne ($19) third after taking the field into the straight.